Hot Springs Village Property Owners Association (HSVPOA) is looking for a Chief Member Experience Officer (CMEO).The Chief Member Experience Officer (CMEO) is a member of the executive leadership team who promotes the lifestyle and community experience through comprehensive branding strategies. The CMEO will be responsible for optimizing member engagement, enhancing member value, encouraging member retention and welcoming new members. The CMEO will oversee all aspects of amenity-related experiences, coordinating sales and customer service training and coaching for the purpose of optimizing member participation and overall satisfaction. He/She would have three to five years of experience in a senior leadership role and seven to ten years of well-rounded marketing or business development experience in positions of increasing responsibility with a focus on member expansion. The Chief Member Experience Officer (CMEO) is a member of the executive leadership team who promotes the lifestyle and community experience through comprehensive branding strategies. The CMEO will be responsible for optimizing member engagement, enhancing member value, encouraging member retention and welcoming new members. The CMEO will oversee all aspects of amenity-related experiences, coordinating sales and customer service training and coaching for the purpose of optimizing member participation and overall satisfaction. The CMEO has budget and staff oversight of the following departments: Food & Beverage, Recreation Activities, Lakes, Golf Shops/Tee Times, Golf Maintenance, and Community Marketing. 1. Works collaboratively across the Association to develop strategies that deliver a superior active lifestyle experience and encourage positive employee to customer engagement. 2. Leads the community marketing function from a customer experiences perspective and collaborates with marketing counterparts in real estate and tourism to ensure consistent brand recognition. 3. Identifies gaps in community marketing campaigns and ensures marketing spend is effective in driving membership retention and expansion. 4. Models, supports and communicates the Association’s mission, vision and values, and enterprise goals, executing initiatives and strategies that strengthen the overall brand promise. 5. Oversees the development of customer initiatives regarding communication, feedback, and community outreach. Coordinates with various stakeholders to ensure new initiatives are customer and employee focused. 6. Fosters a culture of teamwork between all departments, mutual internal and external respect and fun experiences that contribute to member satisfaction and staff engagement. 7. Develops and tracks metrics on customer and member experience, and appropriately balances subsidy and return on investment in accordance with policies and budgets. 8. Researches latest trends and methodologies for improving customer and member experiences. 9. Identifies staff development opportunities and provides effective coaching and training particularly in the area of sales, customer service and frontline empowerment. 10. Establishes and tracks performance standards and annual plans for all direct reports. 11. Ensures adherence to laws, policies, procedures and best practices in order to mitigate risk of loss. 12. Participates in team and community events, marketing campaigns, team meetings and coaching sessions. 13. Assesses operational effectiveness and efficiency in areas of oversight, encouraging forward thinking strategies, interdepartmental cooperation, and sharing of resources and information. 14. Empowers direct reports, modeling superior customer service and mutual respect, while holding each accountable for enterprise goals. 15. Directs the development and implementation of goals, objectives, policies and priorities for each assigned service area. 16. Resolves member inquiries and complaints through the appropriate supervisor, manager, or director and continuously improves the staff’s ability to de-escalate and resolve matters themselves in a professional and timely manner. 17. Other duties as assigned. 	Leadership: Seeks to improve individual effectiveness, job satisfaction and employee engagement. 	Influencing: Champions the acceptance of new ideas by using convincing arguments, describing benefits to the other party, and responding appropriately to key stakeholders. 	Collaboration: Appreciates the value of diversity of thought when working with others to reach common goals and objectives. 	Communications: Skilled in creating powerful, compelling, and credible written and oral communications to a wide variety of audiences, including executive level leaders and board members, both internally and externally. Ability to convey complex ideas through concise, simple materials. High level communication skills to make presentations to a variety of audiences leveraging innovation and technology. Education and/or Experience: Bachelor’s or Master’s degree in marketing, business administration or communication. Demonstrated success leading the growth of a membership base through effective strategies and business plans. Proven success delivering scalable program that achieves outcomes. Demonstrated success overseeing entire customer experience. Three to five years of experience in a senior leadership role. Seven to ten years of well-rounded marketing or business development experience in positions of increasing responsibility with a focus on member expansion. Certificates, Licenses and or Registrations: Marketing or club management related certifications a plus. 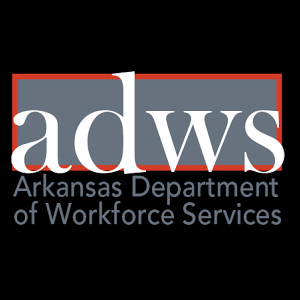 Requires a valid Arkansas driver’s license and clean driving record with proof of liability insurance. Reasoning Ability: Solve practical problems and deal with a variety of concrete variables in situations where only limited standardization exists. Ability to interpret a variety of instructions furnished in written, oral, diagram, or schedule form. While performing the duties of this job, the employee is frequently required to stand; walk; sit; use hands to finger, handle, or feel and talk or hear. The employee is occasionally required to reach with hands and arms; climb or balance; stoop, kneel, crouch, or crawl and taste or smell. The employee must frequently lift and/or move up to 10 pounds and occasionally lift and/or move up to 25 pounds. Specific vision abilities required by this job include close vision, distance vision, color vision, peripheral vision, depth perception and ability to adjust focus.